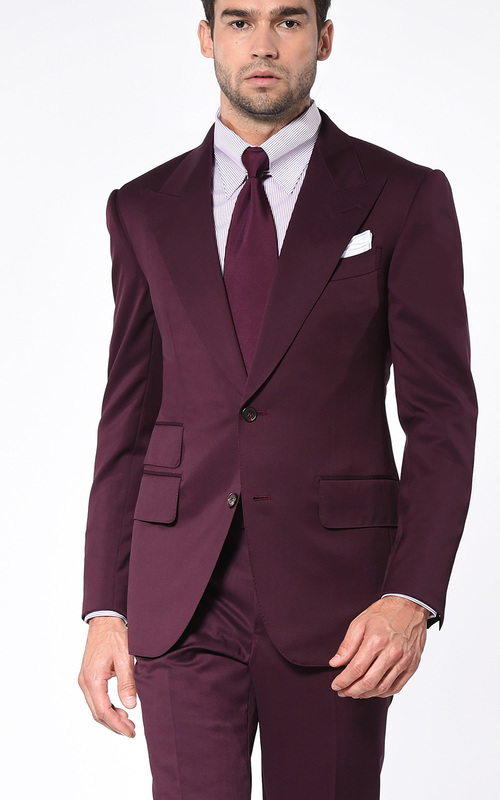 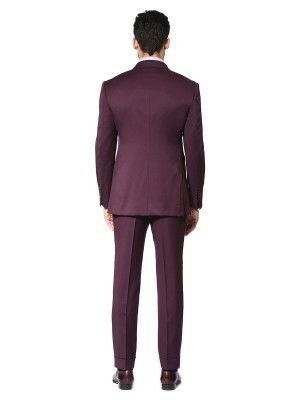 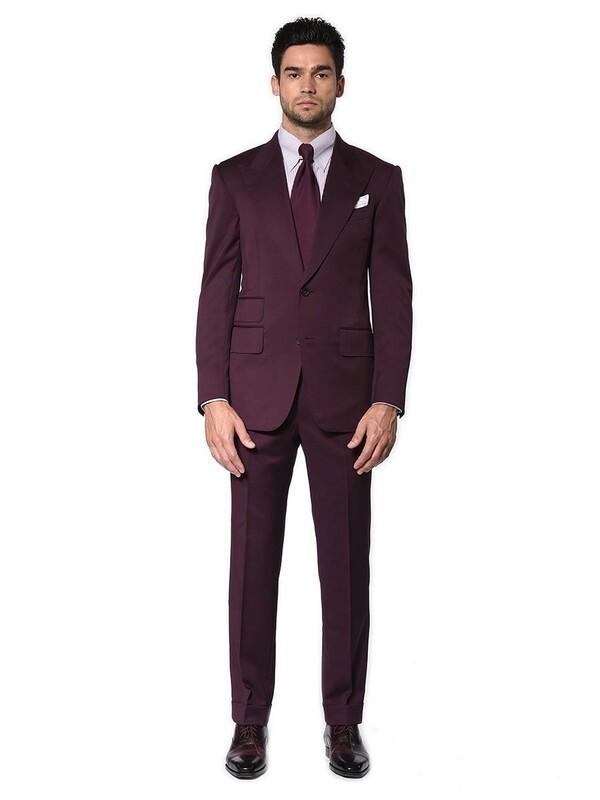 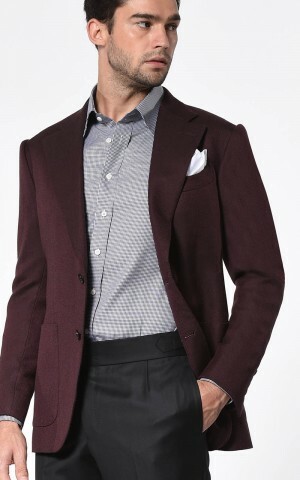 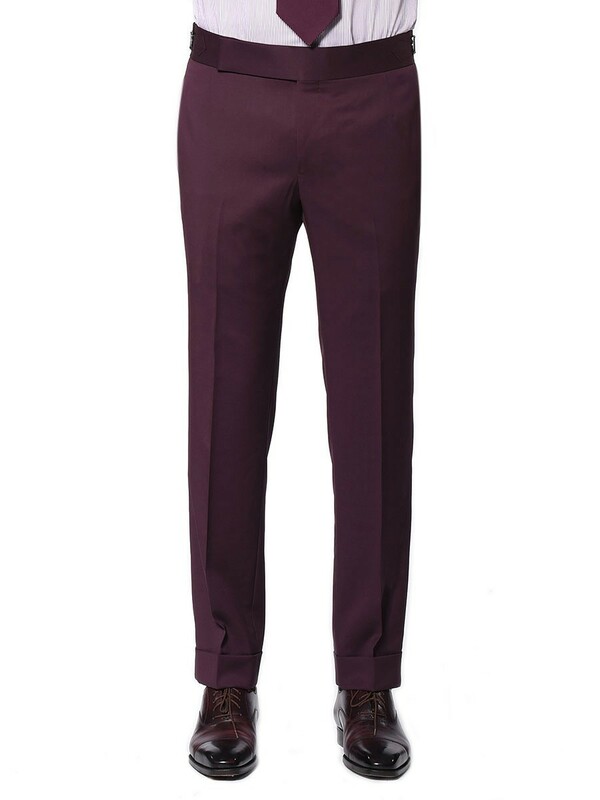 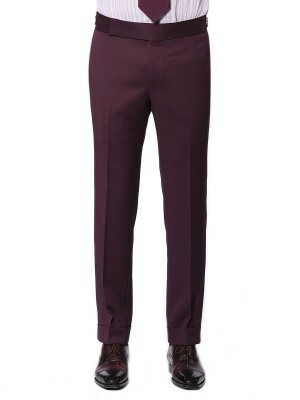 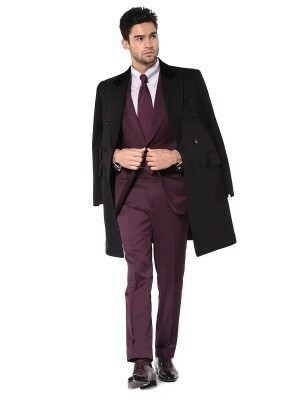 Look your best out on the town in this Signature 2-button bordeaux twill suit. 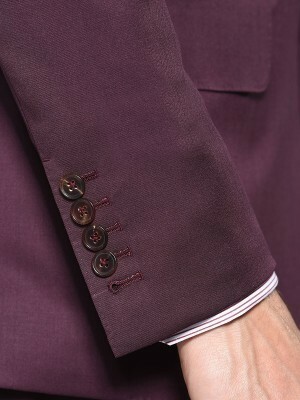 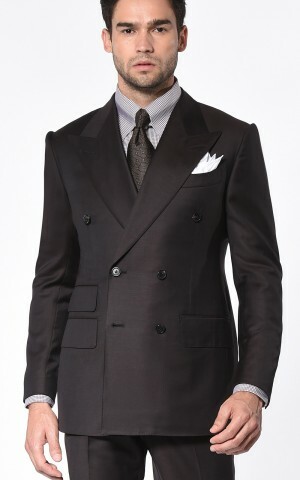 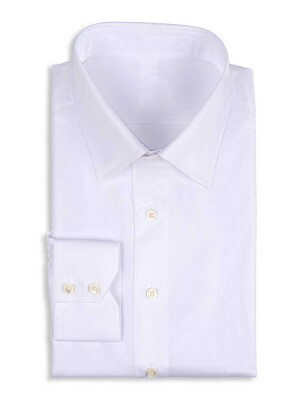 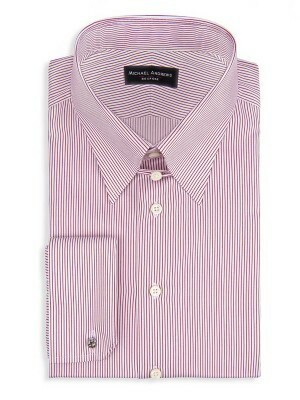 Not for the faint of heart, this distinctive creation features a wide peak lapel, ticket pocket and built-in bravado. 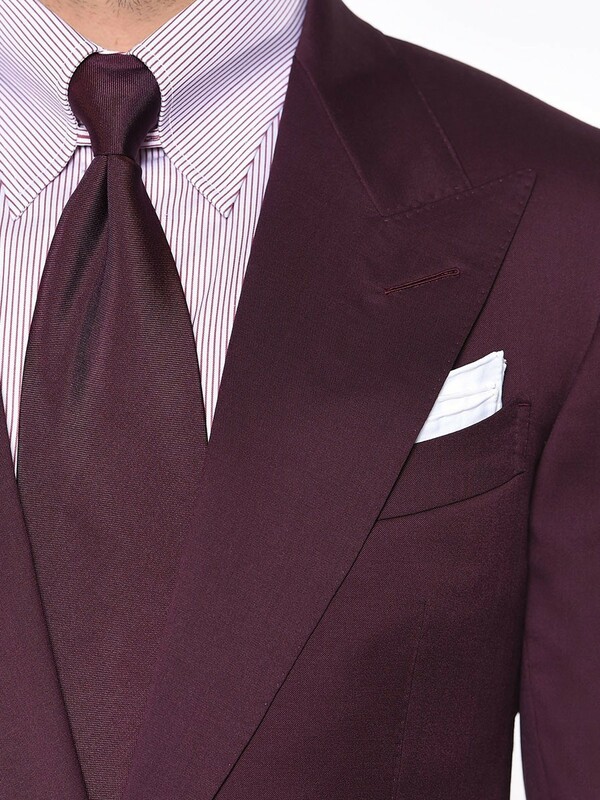 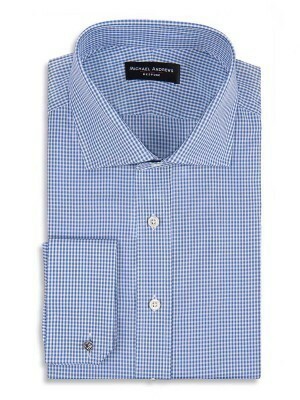 This piece is woven from Dormeuil's legendary Amadeus cloth.